■ Gold facial penetrates the skin and is believed to have revitalizing and rejuvenating effects. ■ Such a facial is touted to facilitate the removal of toxins and wastes. ■ Gold facial is also said to assist lymphatic drainage. ■ It can help improves blood circulation and bring a glow to t e face. ■ Enhanced skin elasticity is another one of the benefits of gold facial. 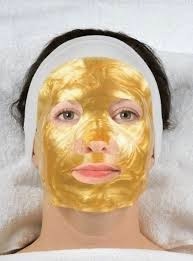 ■ Gold facial is renowned for accelerating cell renewal.